A typical day for a teacher in a one-room schoolhouse was not easy to define. They were challenged to teach grades 1 - 8 in the same class room. Teachers taught all subjects and learned quickly about Murphy's Law. Anything that can go wrong, will go wrong. How does a young, single woman prepare herself to teach in a one room, country school house? 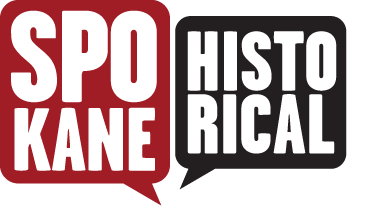 When this question was asked of Nellie F. Ramsey Garrison, an 86 year old retired teacher of Bonner County schools, she smiled, laughed and said there is no amount of training that can prepare you for the unexpected things that can go wrong. Nellie was 22 when she started teaching in Bonner County. She had attended Eastern Washington College of Education for a little more than a year when she was contacted by the local school district in Bonner County. The school year was to and there were several schools without teachers. Nellie soon found herself at the Morton School where she would teach from 1949 until 1952 when the school was consolidated with Sandpoint and closed. The original Morton school (also known as Fern School) was built around 1905 land donated by James Campbell. 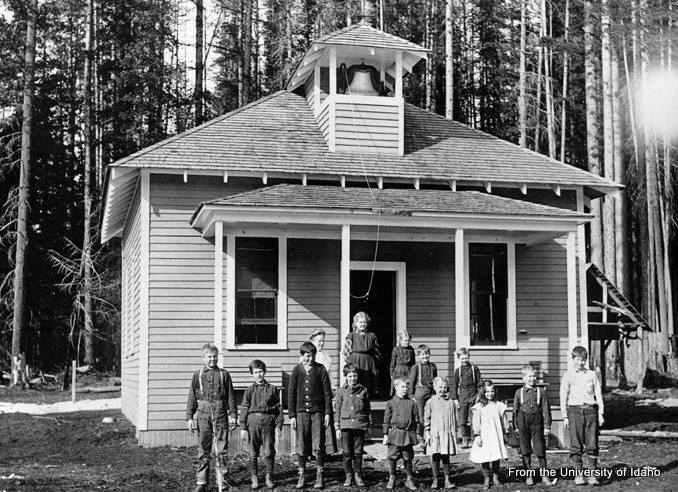 The white wood frame school house with a bell tower was the social center for the community from 1910 to 1930. In 1925 a new two story cinder brick school was built, with the main classroom on the second floor and a ground floor large enough to play basketball, hold dances and host programs on a little stage. The new Morton school also had a bell tower with a bell. However Nellie found that a hand bell would get the attention of the students just as well. The building had two rooms that were set aside for bathrooms, but no running water. One of the students would bring water to the school every other day on the family tractor and the students used two outhouses on the back of the property. This worked well until one summer when squirrels filled both outhouses to the brim with pine cones forcing Nellie to contact the Central Office to have them cleaned before they could be used. Deep Idaho snows made getting to school in the winter a challenge. When there were too many snow days, bored students called their teacher to beg her to open school. During a Christmas Program one year the power went out. Several of the men shoveled the snow away from the windows, pulled their trucks up engines running and lights shining brightly. The Christmas Program was a success! 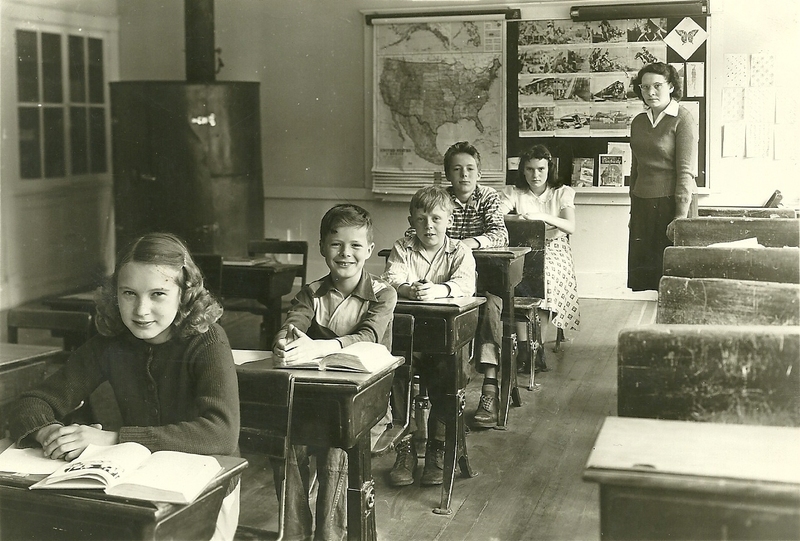 Miss Ramsey was required to teach all subjects. She was thankful that there were plenty of good books to use. In place of a PE Class the group would take nature walks up the mountain behind the school during the afternoons. There was never a dull moment at the old Morton school. The school was sold in the mid 1970’s to the Rochioli family and was rented out to several other families. In January 1987 the renters were out of town and a fire started in the wall. The cinder block structure reacted like a furnace and because there was no local fire district, the old school house burned to the ground. Nellie’s teaching career expanded 33 years. After that first class of 7 students, she taught their children and grandchildren before retiring as the Language Arts (English) teach for the 8th grade classes in Sandpoint. But nothing brings the quick twinkle in her eye and smile to her face like remembering the good old days of the Morton school. The Morton School class of 1950.: The class of 1950 at the Morton School with their teacher, Nellie Ramsey. She taught classes for two years at the Morton School before it was consolidated with Sandpoint schools. Nellie also taught the children of these students in later years Photography courtesy of Nellie F Ramsey Garrison. Student at recess at the Morton School. : The Morton school in 1952. The new school was built of cinder blocks and old brick. The large fir and pine trees were a source of shade and entertainment since they were the home of many squirrels. 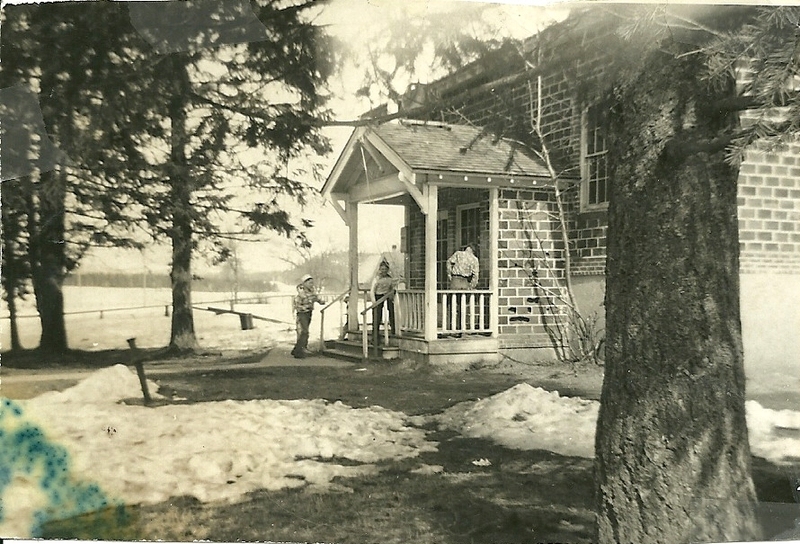 Photograph courtesy of Nellie F Ramsey Garrison. The Nordman School of Nordman, Idaho in 1918.: This was also a one room school house in a rural community. Many of the communities had their individual school houses making it easier for children that could not travel far distances to school to get an education. Courtesy of the University of Idaho. Mary Garrison, “Morton School - Memories of a One-Room Schoolhouse,” Spokane Historical, accessed April 25, 2019, https://spokanehistorical.org/items/show/570. Garrison, Nellie. Interview by author. Personal interview. Overland, Virginia Judge. Morton Valley memories. Idaho: Morton History Committee, 1996.